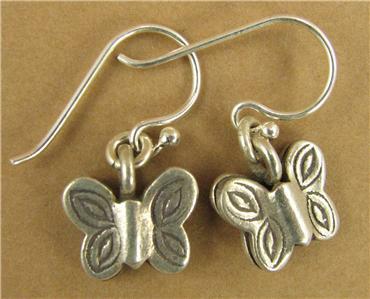 Home › Earrings › Butterfly earrings. Fine silver. Sterling silver hooks. Dangle. 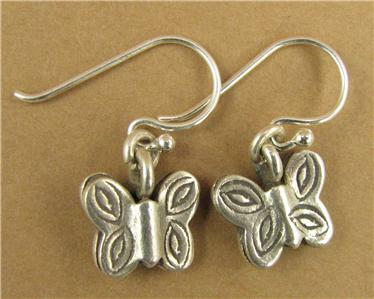 Butterfly earrings. Fine silver. 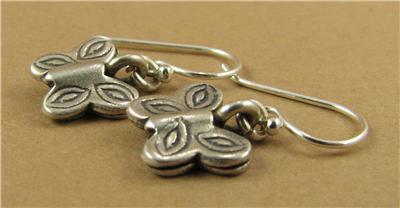 Sterling silver hooks. Dangle. 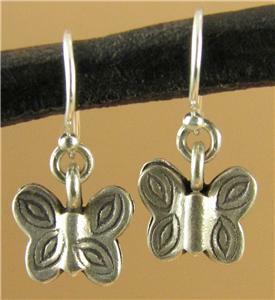 This is a lovely pair of butterfly earrings. 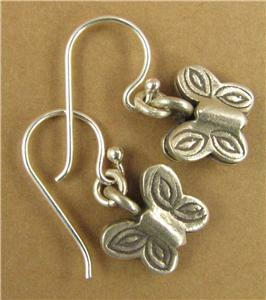 The butterflies are extremely pure solid fine silver. (98% purity). They are tribal silver and have been handmade by the hilltribe people who live between Burma and Thailand. 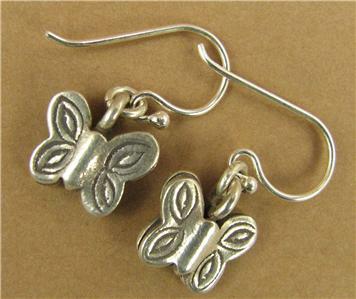 I have made them into earrings using small fine silver hoops and sterling silver ear hooks (92.5% purity). The butterflies are 1 cm across, and 9mm high. 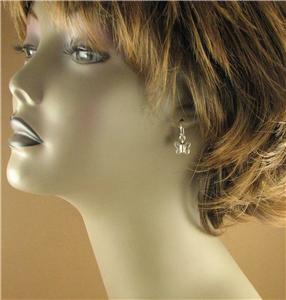 The earrings are 2 cm long, from the top of the hooks. I am the designer of these earrings and I have put them together with my own hands. I have been making my living exclusively from designing and making jewellery for 9 years. I travel every year to seek out old and tribal silver from Asia and India along with semi-precious stones. Back at home in Brighton, England, I make these loose pieces up into beautiful and unusual jewellery.